With many different social media websites out there, which ones should you use, and which social media profiles are the best to out the most information? You can use Facebook to find out just about anything about a person. Take a look at this article: How to use Facebook to find the name behind an unknown caller to see how you can enter the phone number of the person who called you into the Facebook search, and then you’ll be able to bring up all the profiles that match with the provided phone number. Facebook has taken steps recently to limit the number of phone lookups coming from a single IP address, so be sure to use this feature sparingly in case you get limited by Facebook’s security feature. Google Plus is not as popular as Facebook, but still has lots of information about a person based on their phone number. Businesses will also create a Google Plus account to advertise their services, so if you are looking for the number of a business this is especially helpful. There are different types of Google+ accounts – business and individuals. 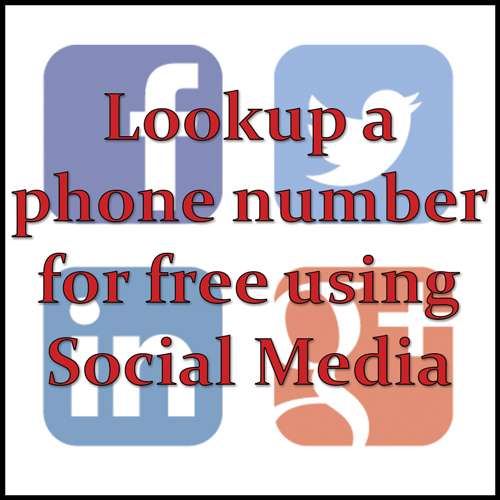 Usually the search function on the Google+ website will only find phone numbers for business accounts, although occasionally you will find the name of the person who called you from a personal profile that also has their phone number. It’s worth trying just to see if the phone number you are looking up belongs to an individual or business. 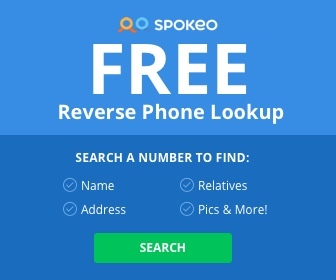 Check out the guide How to perform a free reverse phone lookup on Google Plus (coming soon!). LinkedIn is a new player in the realm of social media, but it also has phone numbers that are listed on the website, helping customers find information about companies and contact information to different departments within each company. You can also use LinkedIn to search for a contact if you know of them by using their search function – it will look through both company and personal profiles and look for matches – if any. If you want the full guide on looking up a phone number using LinkedIn, check out the official guide coming soon!